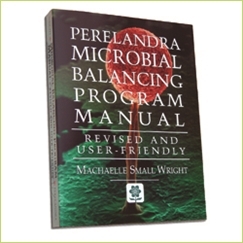 Perelandra Microbial Balancing Program Manual - Perelandra Ltd.
Click here for a special message from Machaelle that explains your options. I have been using Perelandra products for many years, and have had much help. However, recently they have really come into their own! I was diagnosed with Lupus a year ago, along with some heart issues. The result is medications that make it impossible to use immune system support products when I am sick. I was scared! My experience with being sick is that my body goes down hill rapidly with no assistance. However, I discovered that I could fall back on Perelandra. I now use the Microbial Balancing Program as soon as I feel any hint of illness. It seems to arrest the disease process within a day! I also use the Immune function MBP [MBP Immune System Balancing Solution] twice per day. I feel the energy shift every time.